As 2016 reaches its second quarter, our industry is gearing up for DRUPA 2016 with the anticipation of much needed innovations for the industry. 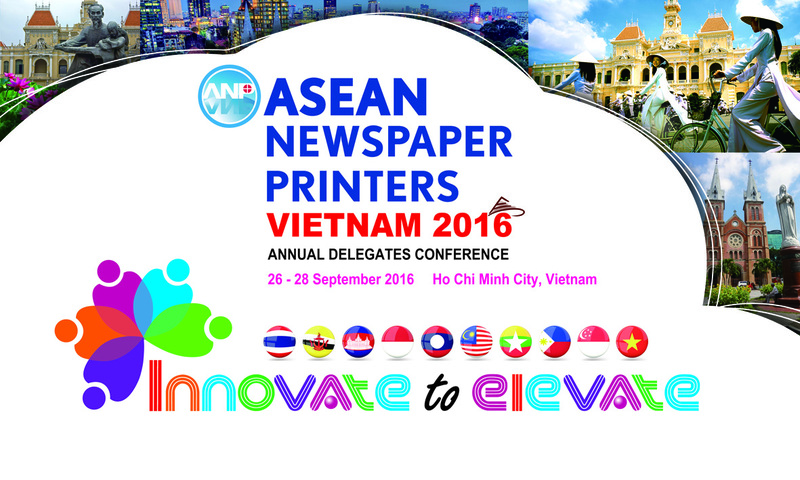 “Innovate to Elevate” is the theme we have chosen for this year’s 26 to 28 September ASEAN Newspaper Printers conference. After Surabaya, Penang, Kuala Lumpur, Manila, and Bangkok, we have chosen Ho Chi Minh City, Vietnam, as 2016 conference venue. HCMC is a bustling city with more than 8 million inhabitants and no less than ten newspaper printers spread over the city serving more than 40 newspaper titles. We are truly honored to have Tuổi Trẻ co-hosting this year’s conference. Tuổi Trẻ, celebrating its 41th anniversary this upcoming September, prints Vietnam’s largest newspaper Tuổi Trẻ daily. We at ANP also feel the need to innovate as we arrive at our fifth annual conference. We would like our conference to be more interactive by facilitating more opportunities for members and partners to interact with each other. This year, we are organizing masterclasses, each with topics in prepress, press, and post press. We are also providing our valuable partners with more flexible time to share your DRUPDA innovations at the exhibition floor. We believe ANP to be the embodiment of ASEAN spirit. This year, we welcome our Filipino director, Mr. Henry Santos, from Print Town Group (Philippines Daily Inquirer). As an organization, we are marching forward with our vision to have all ten ASEAN countries represented in ANP board of director. We would like to urge all of you, newspaper printers/publishers and vendor partners to assist us in making this conference successful. For our vendor supporters we need your help in financing the event and introducing innovative solutions. To have a productive conference, we need our members’ sharing of your best practices and openness to benchmark each other. It is time to elevate the capabilities of your organizations and maximize our resilience in the midst of disruptive forces surrounding our beloved industry.